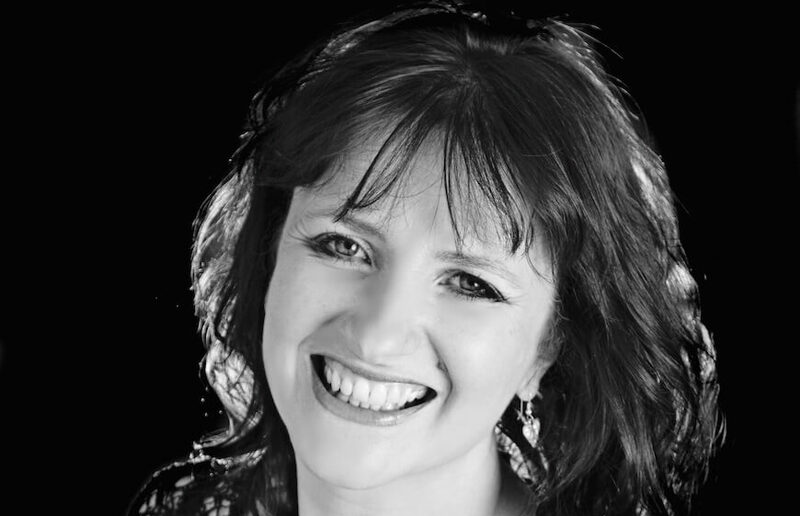 Nutritionist and author Sarah Flower advocates following a no sugar diet/low sugar way of eating as a way to improving health, losing weight and balancing blood sugars. What’s more, for the female business traveler, following a no sugar diet on the go can help reduce hunger en route, stave off tiredness caused by jet lag and keep energy levels balanced throughout a trip. Otherwise, following a low-carb and sugar free diet is generally said to help (and reverse) many serious health problems including Type 2 Diabetes which in turn can help stave off Alzheimers and even Cancer. 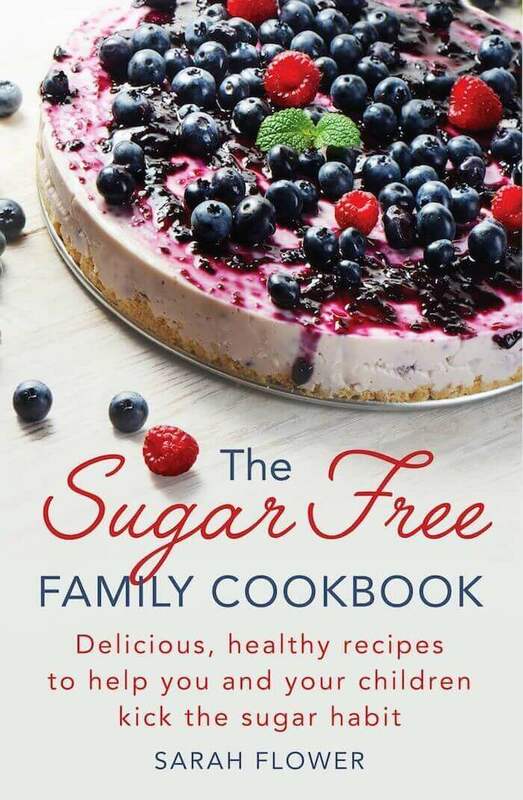 Sarah has authored 17 books, including The Sugar Free Family Cookbook, Low Carb Slow Cooker and Eating to Beat Type 2 Diabetes (out 2018). She’s also a Jamie Oliver Food Revolution Ambassador, a member of the Guild of Food Writers and has been following a sugar free way of eating for over three years. Sarah, why did you begin to follow a no sugar diet? I’d been a nutritionist since my 20’s and had followed a very strict vegetarian, processed-free diet. When I turned 40 I began developing health issues, including a fatty liver. I discovered my low calorie, low fat diet was contributing to my fatty liver, weight gain and insulin resistance. My diet of wholegrains, smoothies and juices and low-fat foods was the main culprit. I then put more of my clients onto a low carb, no sugar diet (known as LCHF or Keto) and the results were astounding for a wide range of health issues, including IBS, menopause and inflammatory conditions. Most amazing of all was seeing the weight loss and reversal of Type 2 Diabetes. How would following a no sugar diet benefit the female business traveler? It’s possible to travel on this way of eating – but it does take some prep. When you start a no sugar diet, it can be daunting because you have to cut out grain, sugar, and processed food. The secret is to plan ahead and prepare. I tell all my clients to take a few weeks in order to understand all there is to know about a no sugar diet and to empower themselves with as much information as possible. Switches off cravings: Cravings may increase with jet lag and tiredness. Insulin and raised blood sugars caused by eating sugar also cause a rollercoaster of energy highs and lows. You’ll also tend to eat less before you feel full so missing a meal isn’t an issue. A high sugar and carbohydrate diet stimulates a hormone called Ghrelin, a hormone that sits in our stomach and growls at us until we are fed, so we constantly feel hungry. This is important for those who diet on a low calorie, low fat diet – you don’t lack willpower, the cravings are real! A carb and fructose-rich diet also shuts off our Leptin response. Leptin is a hormone that signals when we are full, so the low fat, low calorie diet stops us feeling full. The joy of eating a low carb, no sugar diet is that we feel full all the time. I can go for long periods without any desire for food which will also help the female business traveler manage her hunger better during longer periods of time spent on the road. Increases energy and stamina. Cutting out the sugar highs and lows by reducing sugar intake really does help with energy, concentration and stamina. A a no sugar diet is perfect for the busy business woman who travels often and wants to stay focused and energized throughout her trip. Reverses a whole host of health issues, promotes healthy eating on the go and helps to shed weight effortlessly which in turn helps if a business traveler doesn’t have time to exercise. What sugar-free snacks and foods could a business traveler eat on the go? Plan ahead and it will work well. Going back to eating real food is a no brainer. What about business diners, lunches etc etc? I’ve attended obesity seminars where the food on offer was biscuits, cakes and crisps! When I’m not eating at home I find it easier to say I’m gluten free or suffer from food allergies rather than get into the whole debate on carbs. You can eat salads, meat, fish, dairy, vegetables, nuts, seeds, berries, natural yogurt, cream and butter etc. Quite a few restaurants are now catering for low carb eaters, with things like spiralized courgette (zucchini) replacing pasta and cauliflower rice replacing standard rice. I don’t find it an issue in restaurants. The only time it becomes a problem is in coffee shops where the only food on offer is cakes, sandwiches and snacks. Overall, why do you advocate sugar-free eating? Pretty much because of the overwhelming changes I’ve seen in my clinic, my family and the experiences shared from other experts in this field. It’s a game-changer, but it’s not new and certainly not a fad. I’ve a book on Diabetes written in 1895 and the standard advice then was to follow a low carb way of eating. This is just eating the way we’ve been designed to eat. All the marketing pushing us to consume industrial seed oils, high fructose corn syrups, heavily processed foods are just there for food industries to get rich quick. Our health is suffering as a result. Going back to eating real food is a no brainer. What are the main dangers of eating too much sugar? Or any sugar at all? Sugar has no nutrient value at all and isn’t needed by the body at all. Carbohydrates get converted into glucose, providing us with energy. However, we’re consuming more than we have ever eaten in and it’s this excess consumption that’s so detrimental to our health. Our body can run extremely really well on fat, protein and can produce its own glucose/carbohydrates. Fructose (which is also found in fruit) is the most damaging sugar forms and is linked to Non Alcoholic Fatty Liver Disease (NAFLD) and heart disease. Fructose also interferes with our Leptin response and is shown to lay down more visceral fat – the fat around your vital organs. Eating a whole fruit means you are also eating some fiber, which slows the digestion of the fructose down. However, drink your fruit in fruit juice and you have no fiber, therefore a high concentration of fructose floods the liver. Fructose is metabolized in the liver. The liver doesn’t know how to deal with the high levels of fructose as there’s no real requirement for it in the body. This can lead to illnesses such as cirrhosis, heart disease and cell damage, high blood pressure – to name a few. Which foods contain hidden sugars? Here are some names you need to avoid – Sucrose, Fructose, High Fructose Corn Syrup, Barley Malt, Dextrose, Maltose, Agave Nectar, Beet Sugar, Cane Juice, Turbinado Sugar, Caramel, Carob Syrup, Corn Syrup, Date Sugar, Dextrin, Evaporated Cane Juice, Fruit Juice, Grape Juice, Diastase, Glucose, Maltol, Palm Sugar, Monoglycerides, Refiners Syrup, Mannose, Oligofrutose, Tapioca Syrup, Maple Syrup, Treacle, Saccharose, Molasses, Coconut Sugar, Polydextrose, Glycerine, Yakon, Dextran, Diastric Malt Powder, Sorghum, Ethyl Maltol, Galatose, Golden Syrup, Honey, Inverted Sugar, Lactose, Maltodextrin, Muscavado Sugar, Oat Syrup, Avena Sativa, Panela, Panocha, Crystalline Fructose. You also have to consider all the foods that raise the blood sugars and produce an Insulin response. This includes carbohydrates and starchy foods – so think of bread, pasta, rice, root vegetables, cakes, biscuits etc. What’s your latest book release? I’ve just finished my next book which is not out until mid 2018, called Eating to Beat Type 2 Diabetes. 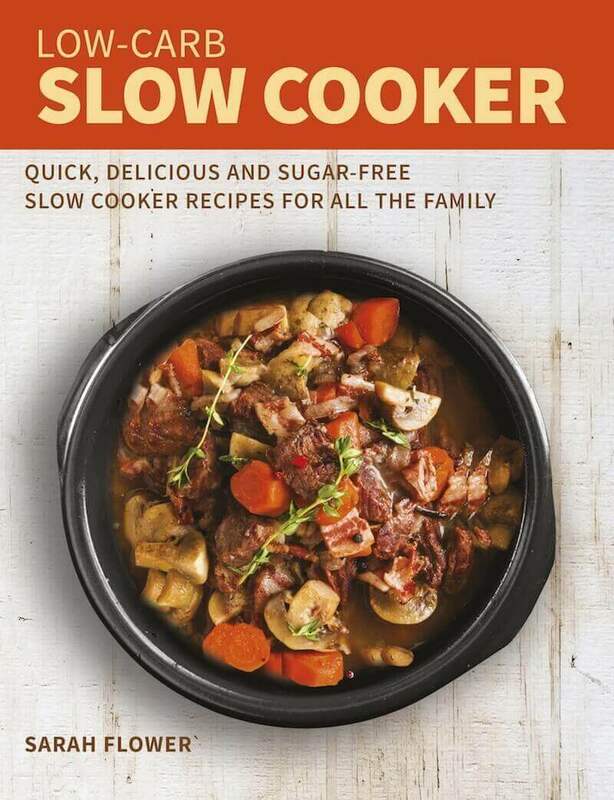 My most recent books are Low Carb Slow Cooker, and The Sugar Free Family Cookbook, which is also suitable for those following a sugar free way of eating as well as LCHF and Keto. I’m available for online consultations from anyone worldwide from my website.